Empowering Women to Work Better! Wanna know what we're up to at WAHM? Pop your details below and we'll keep you updated! 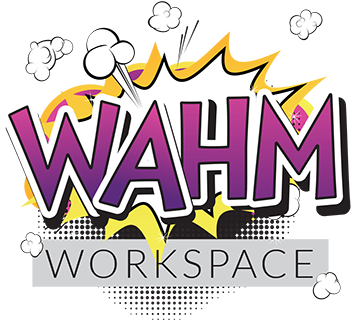 WAHM WorkSpace is Empowering Women to work better. The business started as an idea for a coworking space for Work At Home Moms (WAHMs), and so our core values stem from the coworking industry, They are Community, Collaboration, Accessibility, Sustainability, and Openness. The business focus has moved from a physical coworking space to a virtual space where we empower women through virtual assistance, training and networking events. We were the originators of Best Face Forward and are thrilled to see the women who have come through the program feeling empowered with confidence and great photos. A WOMEN CENTRIC COMMUNITY WHERE WE EMPOWER WOMEN TO WORK BETTER! Click below to find out all the details! Do you want stunning photos of yourself? Do you want affordable Head Shot photos? Best Face Forward - a headshots collaboration event is happening soon!